Though patient's come to our office to address concerns about their hair, we examine each face carefully and individually during each consultation. There are times when the hair is healthy, yet the hairline is too high. A hair transplant can lower the hairline in a natural way to better frame the face. The patient in the photo demonstrates how a hair transplant can look totally natural while completely re-framing the face to enhance beauty. 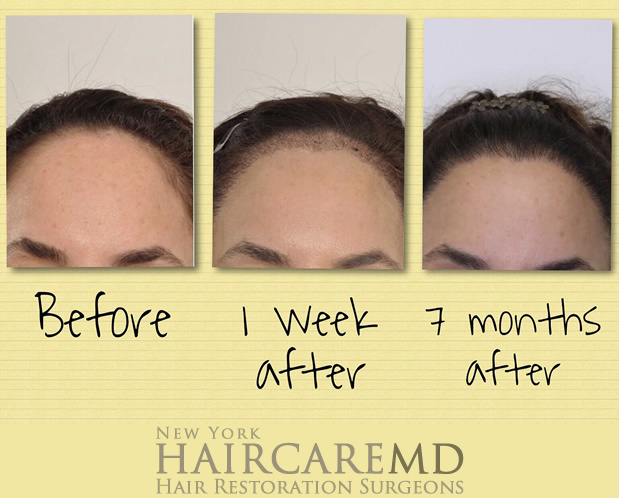 Visit the NYC based HairCareMD doctors to discuss your concerns if you feel that your hairline is too high.